Borrow an Activity Lending Kit at the Library! Finals are approaching and we know it can be difficult to make time for the gym or to commit to an exercise class when you have a busy student schedule that is always changing. Physical activity is an effective and healthy tool to manage stress and UAlberta’s Healthy Campus Unit and LiveWell have partnered with University of Alberta Libraries to bring you Physical Activity Lending Kits! These kits contain various at home workout equipment that can serve as a free and accessible alternative to heading out the gym. Skipping rope - Did you know that jumping rope at 120 revolutions per minute for 10 minutes is equivalent to jogging for 30 minutes?! Resistance bands - These are a great tool for static and dynamic stretching as well as bone and muscle development. Pedometer - Did you know that walking is Canada’s most popular form of physical activity? Research has found a link between walking and lower prevalence of depression and a lower BMI. Gliding discs - These are a great way to engage your core muscles so that your pelvis, hips, lower back, and abdomen all work in harmony. Exercise cards - These cards will provide you with information on how to use the items in the kit. According to the National College Health Assessment (2013), stress, anxiety, and sleep are the top three factors affecting academic performance for U of A students. Research shows that physical activity has been able to lessen the effects of these factors and improve mental health. These kits contain various at home workout equipment to help you take a study break and manage your stress throughout the school year. 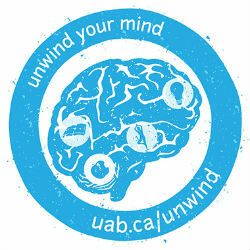 Drop by one of the U of A libraries to borrow one today, and Unwind Your Mind! 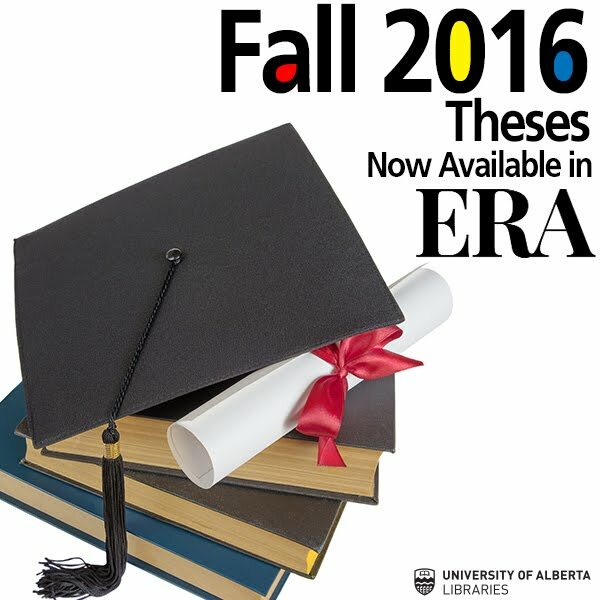 Twice a year the Library releases some very special digital works into the world: University of Alberta graduates’ theses and dissertations! Congratulations to all these graduate students and their supervisors who have convocated in Fall 2016 for all your hard work and perseverance. Over 600 electronic theses and dissertations became available openly on the web on November 15! We would like to celebrate this event by highlighting the value of the unique and important collection of electronic theses and dissertations at University of Alberta Libraries. The University of Alberta Libraries has always taken its responsibility to preserve theses and dissertations very seriously, as we hold the ‘last copy’ of all of these works whether in paper format of the past or today’s electronic format. As long-term stewards of these unique and precious works, we do everything we can to ensure their long-term survival. For us, these theses also represent a revolution in open access. Theses used to be accessible only by special request. These works, representing the culmination of many years of graduate student research, and often containing important, original, and cutting edge discoveries, were challenging for other researchers to access, or were only available through subscription electronic databases. Now electronic theses are available openly on the web - a change that has taken place at virtually every major research institution around the world. In 2009 UAL partnered with the Faculty of Graduate Studies and Research to develop the policy and infrastructure necessary to offer students the choice of submitting a traditional paper thesis submitting their thesis electronically. Over 90% of students immediately chose the digital open access option, immediately exceeding all our expectations. In April 2014, FGSR finalized a policy that requires all theses are submitted electronically. Today, theses are openly shared and preserved digitally in ERA: Education and Research Archive, the University of Alberta’s institutional repository. We’ve also shared over 15,000 digitized theses in ERA, for a total of over 19,000 digital theses available online for the use of researchers, practitioners, legislators, students, and proud families of our grad students worldwide. Of course, we also continue to care for and preserve those theses in print format that are in our collection which are held at the Book and Record Depository - these can be requested and accessed at the Bruce Peel Special Collections Library. Although we don’t have time to read every thesis in our collection, we do see many thesis titles! Of particular interest this round is Dr. Tracy Bear’s dissertation - Dr. Bear received the Governor General’s Gold Medal, which is an award that recognizes the doctoral graduate who achieves the highest academic standing/cumulative scholarly achievement at the University of Alberta. You can read Dr. Bear’s dissertation, Power in My Blood: Corporeal Sovereignty through the Praxis of an Indigenous Eroticanalysis, available in ERA at this link. University of Alberta students and staff now have the chance to experience the Reconciliation Edmonton project on campus until December 23rd. The project features seven historic photographs from the City of Edmonton Archives, the Provincial Archives of Alberta, the City of Edmonton and the Aboriginal Multi-Media Society. 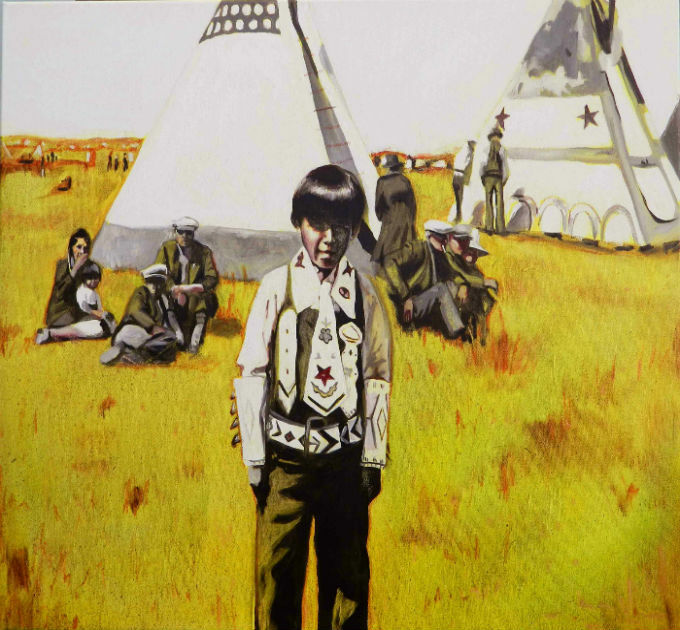 The photos have been incorporated with artwork and poetry demonstrating reconciliation building in the region from the time of the signing of Treaty 6, which was 140 years ago. RISE - Reconciliation in Solidarity Edmonton co-founder Miranda Jimmy collaborated with Danielle Metcalf-Chenail, former historian Laureate for the City of Edmonton, Jennie Vegt, former Artist in Residence of the City of Edmonton and Anna Marie Sewell, former Poet Laureate in Residence for the City of Edmonton. 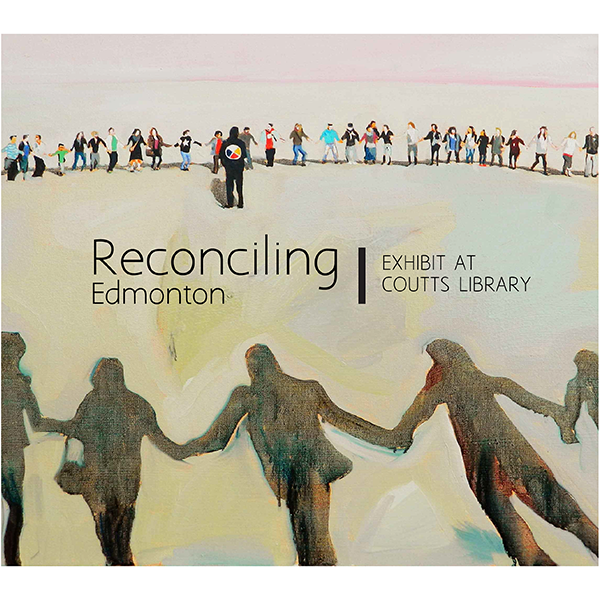 Reconciliation Edmonton is a project funded by Edmonton Heritage Council. Currently on display at the H.T. 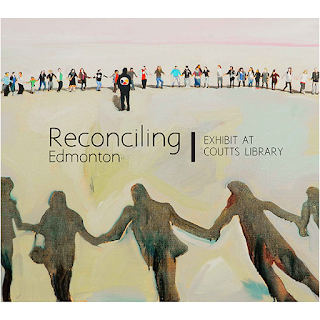 Coutts Education and Physical Education Library, Reconciling Edmonton encourages viewers to share their own reflections on reconciliation in the guestbook or on social media by using the hashtag #ReconcilingYEG. On November 9, 2016 the University of Alberta Libraries staff enjoyed a learning and development showcase featuring some of our talented support staff. The showcase was well attended and the presentations were very engaging. Elisabet Ingibergsson of Bibliothèque Saint Jean presented about partnering with local French immersion elementary school classes to bring them to the library for Read IN Week (October 3 - 9, 2016). This year’s theme was One World, Many Voices. Elisabet coordinated all aspects of this event, including recruiting participants, speaking with school principals, facilitating information sessions for students and teachers, and then confirming participation and creating the day’s itinerary. The day was a success with 112 children participating and the event created a great opportunity for public relations and visibility for the bibliothèque. Hanne Pearce has taken a lead role in designing promotional materials for the UAlberta Libraries over the past several years. In addition to her primary role as a Public Services Assistant, Hanne has unique expertise in photography and print and digital promotions and she uses these skills to “share the stuff we do!” She primarily designs her work in Adobe Creative Cloud and keeps on top of best practices by paying attention to her environment, often finding inspiration in unusual places (like the bus stop)! 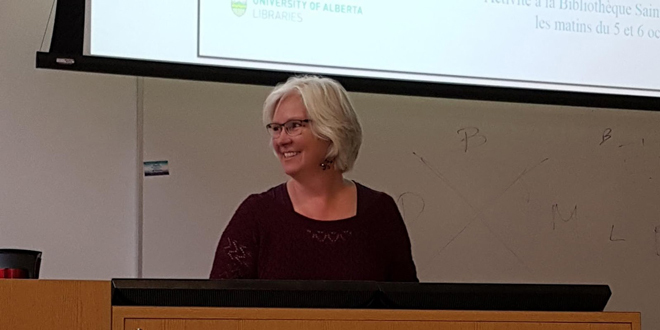 She’s passionate about public outreach and how great design can help UAlberta Libraries connect with their users. Alicia Odeen gave us a sneak peek into the complex processes behind managing and digitizing the library’s archival collection, which has over 9 linear kilometers of materials and about 400,000 photographs. In September of 2017, this collection will move from BARD to the new RCRF. Alicia emphasized that this new location - which will have in-house digitization and new retrieval processes - will help raise awareness of our extensive archival holdings. Archives staff at the new facility will continue to collect, organize, preserve, and provide access to university records of enduring value. Zachary Schoenberger began working with the Métis National Council after a Métis genealogy website created by Dr. Frank Tough was suddenly lost when their server was taken offline. The website helped Métis Nations research and create their family tree. Zachary used a variety of tools to recover the data into its original structure. He used OpenRefine, a pattern recognition software, to “split-apply-combine” the data, a common practice in metadata work. He then used R, another software, to import and export the recovered data. This work will support ongoing research by the Dr. Tough and the Métis Nations. Chris Bateman highlighted his role in the provision of the popular 3D printing service offered at Cameron Library. This service a partnership between the Libraries and the Faculty of Science’s Hackerspace and usually receives around 10 requests a week for different 3D printing projects from students and faculty. Once a project is received, it is a very hands on process for Chris and his Cameron service desk colleagues who use three different softwares to ensure the design is complete and ready for printing. The process requires technological prowess and attention to detail. The outcome of 3D printing projects are often innovative objects used for research, experiments, and creative projects - all made of plant-based materials. Thank you to all of the presenters for sharing their expertise! 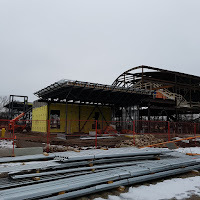 There have been several exciting developments in the planning and building of the Research and Collections Resource Facility (RCRF) that is currently under construction. First and foremost, the Libraries’ RCRF Planning Team has added two new members; Kyle Ouellette is the new Project Coordinator and Meredith Bratland is our new Strategic Communications Manager. 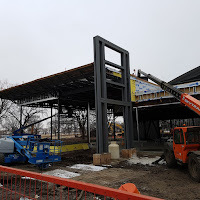 And, check out some of the recent photos from the site. Staff at our Book and Record Depository (BARD) have been working with a LEAN process consultant over the past year to review and improve workflows and processes in preparation for the move into the RCRF. CJ de Jong, our Access Services Coordinator, reports that this has resulted in changes to our book returns process, a reorganized bin system for deliveries to our NEOS partner libraries, tackling maps storage, the elimination of unnecessary supplies and shelving, and updated workflows. Moving forward, we’re fortunate to have Kyle Ouellette, our new Project Coordinator, as a resource trained in LEAN Six Sigma processes. One of his first tasks will be to assist with workflows related to digitization in the RCRF. 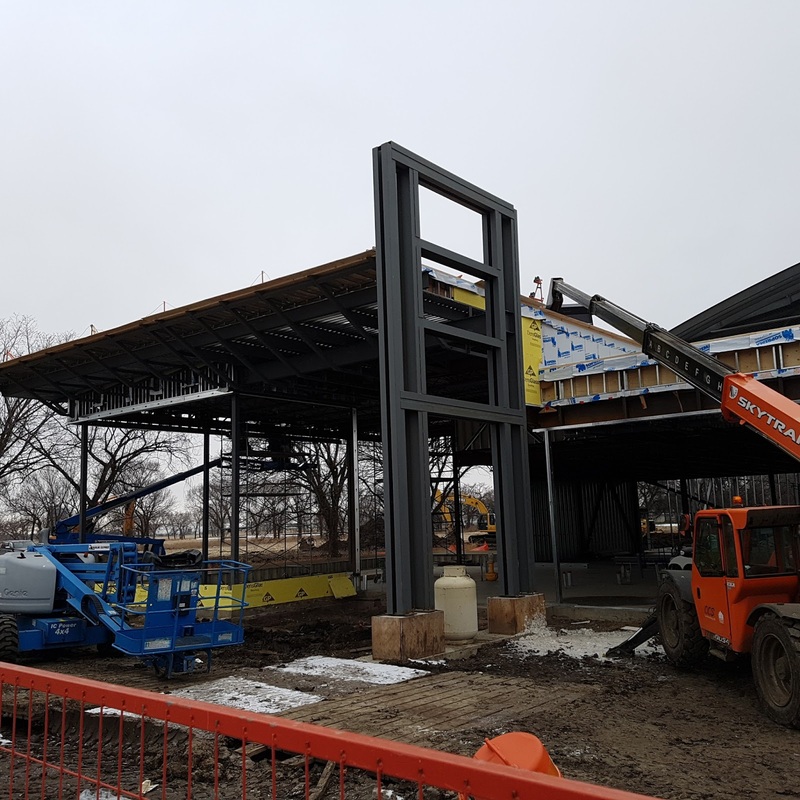 A Request for Proposal is open for the RCRF’s new cherry pickers and wire guidance systems. These pickers are used to shelve and retrieve books from the storage facility, which will have 30 foot high shelving. The deadline for proposals is November 22, 2016. Our Materials Preservation Working Group is making progress on meeting the operational requirements to maintain our Movable Cultural Property (MCP) Program Category A designation. 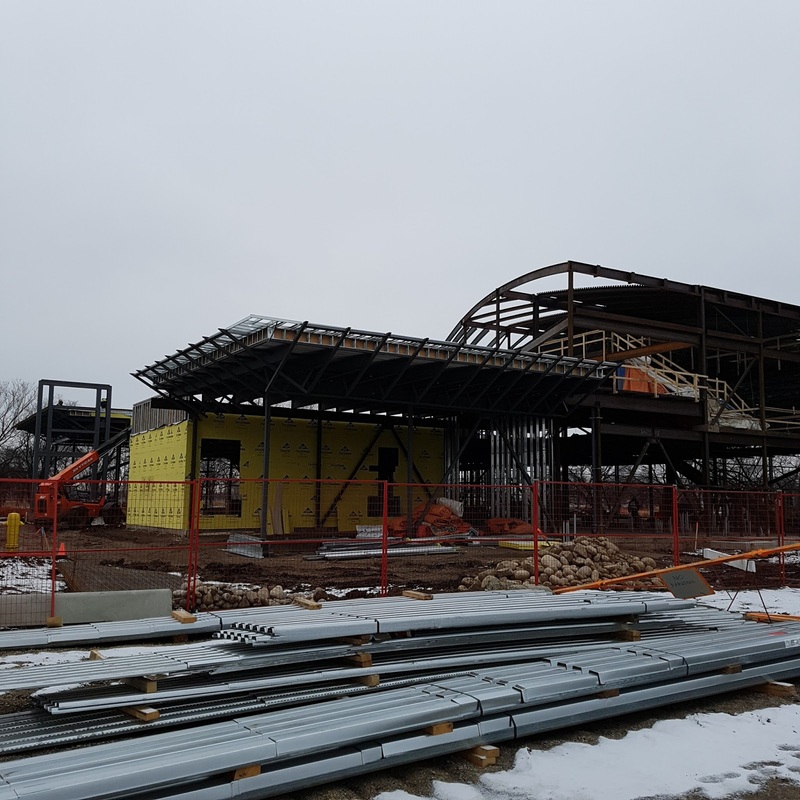 They are diligently working to develop new work processes, procedures, and policies that fully satisfy MCP standards for housing, handling, and securing Canadian cultural property, archives, and library materials in the RCRF. The team is currently exploring sensor options to collect data on the temperature and humidity of the facility for materials preservation. An Emergency Response Plan is also in the works, and the group will identify and set standards for relevant training for RCRF staff who will need to learn new work processes for improved collections preservation and security. Your comments and feedback about the progress is welcome and will be shared - let us know what you think! A key element of the University of Alberta Libraries teaching program is program and/or course integrated instruction. Our librarians teach in a wide variety of contexts, working collaboratively with faculty to support student learning. Our first Teaching Spotlight highlights Grant Kayler’s work with Humanities 101. Grant is a Public Service Librarian in Rutherford Library and is the liaison to the Faculty of Law and the Department of Sociology. Who was the audience for a class you recently taught? The audience was students in HUM 101, a free, non-credit course offered by Community Service Learning (CSL), a department within the Faculty of Arts. The students live in Edmonton's downtown and surrounding areas, and may have faced economic or social barriers to accessing formal education, but have a love of learning. Through group projects and discussions around issues relevant to them, HUM101 aims to empower students and help them use critical thinking in their everyday lives. How did you get involved with the class? Prior to being an actual department within Arts, CSL was associated with the Department of Sociology. As the Sociology liaison, I occasionally provided library support that aimed to include content relevant to their placements in community organizations off campus. HUM101 is a new involvement for me. Lisa Prins, Humanities 101 Coordinator, and Jay Friesen, PhD student in Modern Languages and Cultural Studies, invited me to participate in several sessions over the past year. What was the topic of the session? The library session came about as part of the course moving from an off-campus to an on-campus location. This move was intended to give students a stronger sense of connection with the campus learning experience, and it was felt that a library session would broaden the experience and help build their sense of belonging. I focussed the session on essential services they needed to know about - borrowing materials, using databases with temporary id's, searching for books and articles by topic, asking for help at the Service Desk, etc. We also went on a tour of key areas of Rutherford Library. We called the session "The Library as a Learning Community." How was this instruction session unique from your regular teaching activities? 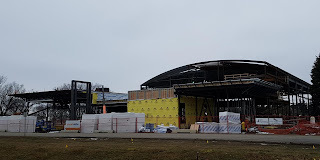 Because HUM 101 students generally haven't had access to post-secondary education, they may think of the university as a big, overwhelming place where they don't really belong. However, they are keen to be part of a larger community of learners. Given their unique backgrounds, I tried to present details about our library services in a straightforward and practical way. My emphasis was on helping the students master search basics and letting them know that the library was there to help them in whatever way they needed to achieve their learning goals and pursue their personal interests. Above all, I wanted them to leave the class feeling that they are welcome in the library, and that they are part of the UAlberta community. What was your favourite moment or takeaway from teaching this group? First, it was seeing the looks of astonishment - then joy - on learning about the library services that were available to them, including the ability to sign out as many books as they wanted. It was also great to witness their interest in articles we found. Students would sometimes comment on an article - relating it to their own experience - and then start a broader discussion. It was also interesting to learn about other the students' other interests, such as river valley photography and painting. Search the Library and you will find more than just electronic articles and books. You will also learn how you can use and re-use these resources, which are made available to you via licensing agreements negotiated by staff at the University of Alberta Libraries. As a course instructor you have likely uploaded an article to your learning management system (LMS), such as eClass or uLearn, for your students. Information about whether or not our license allows this use, as well as others such as inclusion in course packs, downloading, or printing, is available in the “Our Usage Rights” column in catalogue entries (see the screenshot below) or by following the "Get It! ualberta" link. Looking for ebook usage rights? These are often found in the first few pages of the downloaded material. In addition, the eBook Library Guide provides information about downloading, printing, and saving eBooks made available through major providers: http://guides.library.ualberta.ca/ebooks. Get Light @ the Library! Daylight saving time is upon us. As it gets dark outside, come on in the Libraries and get some light! University of Alberta Libraries, with support from the University of Alberta Healthy Campus Unit, is pleased to provide our campus community with access to light therapy lamps, which can help ease the symptoms of seasonal affective disorder. Light therapy lamps can be borrowed for 1 hour at a time for in library use at the following locations: Augustana Library, Bibliotheque Saint-Jean, Cameron Library, Coutts Library, Rutherford Library, Weir Law Library, and Winspear Business Library. Check here for current availability of lamps. You can also visit Scott Library and use their light therapy lamp, located in the Scott Student Lounge. Exposure to light that mimics sunlight is believed to alter brain chemicals that moderate mood, helping to relieve feelings of fatigue, anxiety, low mood, and loss of motivation that can commonly occur during the winter months. In as little as 15-20 minutes a day, symptoms can be relieved by using light therapy. Before using lamp consult with a physician if you suffer from, or have a history of, any of the following conditions: photosensitivity due to lupus, porphyria, actinic dermatitis or solar urtincaria; macular degeneration; skin cancer; bipolar disorder; or light sensitivity. Light therapy is not a cure for depression and other mood disorders. If you are experiencing a prolonged period of extreme sadness, low motivation or feelings of hopelessness we encourage you to contact your physician or the University of Alberta’s Counselling & Clinical Services.